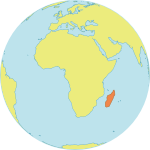 The Personal Assistant (PA) to the Representative is located at Antananarivo in Madagascar Country Office (CO) and reports to the Representative. The PA provides senior level communications, administrative and secretarial support, maintaining full confidentiality in all aspects of assignment, maintenance of protocol procedures, information flow and follow-up on deadlines and commitments made. The PA also provides organizational functions to the CO in terms of: providing effective communications support; ensuring facilitation of knowledge building and management; providing logistical support; and coordinating the secretarial services. Education: Completed Secondary Level Education required. First level university degree desirable. Six years of relevant experience in administration. Some experience in research assistance. Proficiency in current office software applications and corporate IT financial systems. Languages: Fluency in English is required. Depending on the duty station, a working knowledge of another UN language such as French, Spanish, Arabic, Chinese or Russian may be required.